Using the Canon Print App conveniently print from your favourite mobile devices. Auto Power On/Off allows you to print and scan right from your smartphone your printer will automatically turn itself on when it needs to print, and turn itself off after a set period of time. Meet the wireless PIXMA TS3120. The compact, affordable printer for all your home printing needs. With AirPrint and Google Cloud Print2, the PIXMA TS3120 makes it easy to print wirelessly from your favourite devices. The PIXMA TS3120 is compatible with optional XL ink cartridges - which can help save you money, print more when you need to, and extend the time between replacing ink cartridges. Welcome to affordable wireless printing at home. Enjoy the simplicity of connecting your smartphone, tablet and all your favourite devices with ease. Print hassle free - even from the Cloud and from social media. The PIXMA TS3120 is the Wireless All-In-One printer that's just the right size with all the right features. 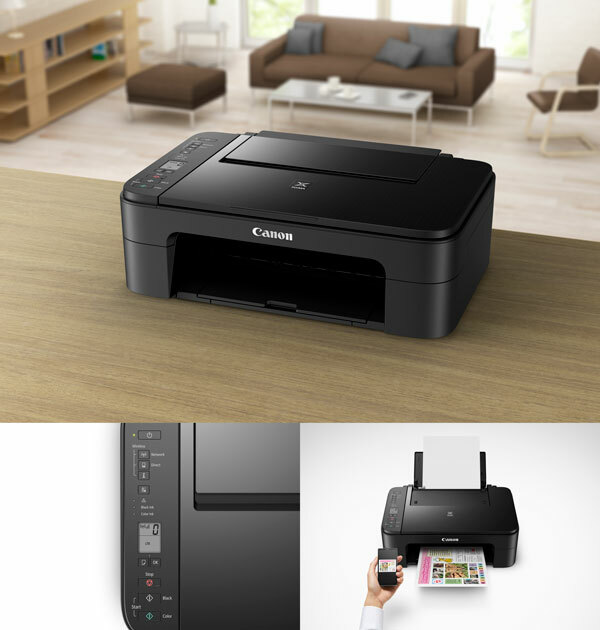 With features like AirPrint, Auto Power On/Off, built in Wi-Fi® and PIXMA Cloud Link - it's easy to see why the printers are easy to use.